At an event held in China, Xiaomi has announced the successor of Mi Mix, the Mi Mix 2. The original device, the Mi Mix managed to win many hearts and it also won the IDEA Gold award. Will its successor be able to beat Mi Mix? Well, going by the specifications looks like it will. 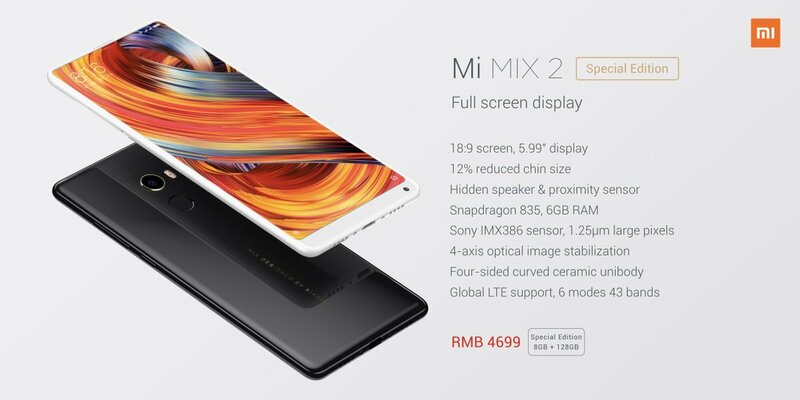 Xiaomi Mi Mix 2 features a 5.99-inch display, which is smaller as compared to its predecessor but since the device has less amount of bezels, the screen to display ratio is almost similar to Mi Mix. It comes with 12% smaller chin with the front camera located at the same position as it was present on Mi Mix. 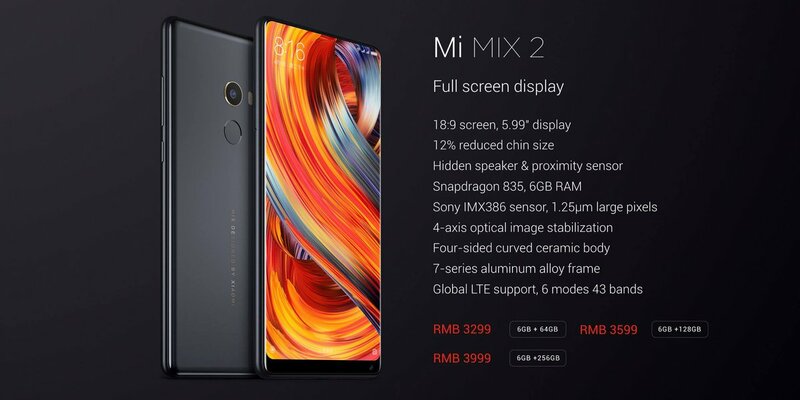 Packed in ultra slim Alumnimum frame with 18:9 aspect ratio, Mi Mix 2 is 2.5% thinner than Mi Mix. Under the hood, you get the high-end Snapdragon 835 processor coupled with 6GB of RAM. In terms of internal memory, you get three options to choose from 64GB, 128GB, and 256GB memory. In terms of optics, you get the same primary camera as present on Xiaomi Mi 6. 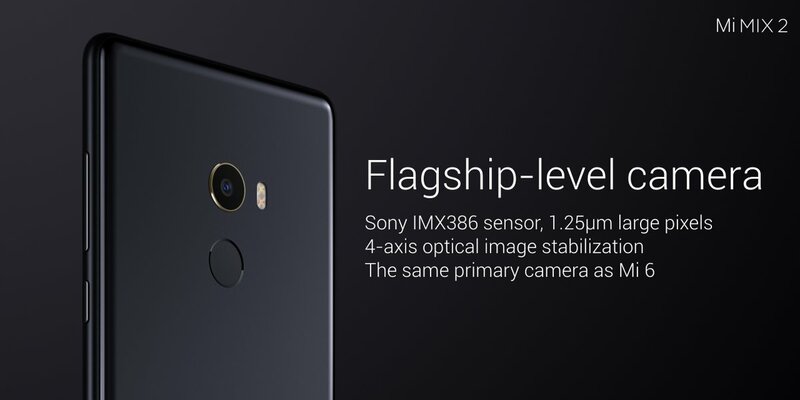 Mi Mix 2 features a 12MP primary camera with Sony IMX 386 sensor. Xiaomi Mi Mix 2 supports 43 bands, which basically means you can use it almost everywhere around the world. Notably, it also comes with great audio recording capabilities. 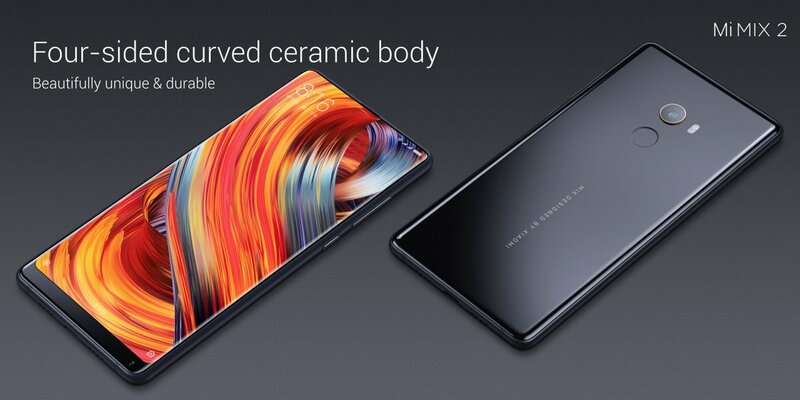 Xiaomi has also launched a special edition of Mi Mix 2 that features 8GB RAM and is packed in a unibody ceramic design. While the base variant with 6GB RAM and 64GB internal memory is available for 3299 Yuan in China, the mid model with 6GB RAM and 128GB will cost you 3599 Yuan. The high end model that features 256GB internal memory with 6GB RAM is priced at 3999 Yuan. The special edition device with 8GB RAM and 128GB internal memory will cost you 4699 Yuan.